Tamron AFF017C700 SP 90mm F/2.8 Di VC USD vs. Canon EF 100mm f/2.8L IS USM Macro Lens, which is better? 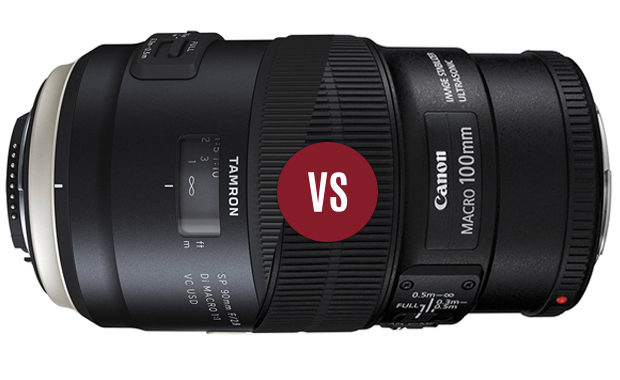 Home / Camera Tips / Tamron AFF017C700 SP 90mm F/2.8 Di VC USD vs. Canon EF 100mm f/2.8L IS USM Macro Lens, which is better? 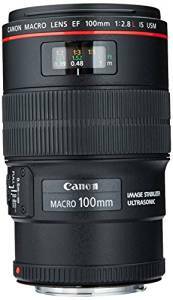 We took advantage of the release of the Tamron SP 90 mm f/2,8 Macro Di VC USD update to confront it with its main rival in the Canon universe: the Canon EF 100 mm f/2.8 L Macro IS USM. Even if their focal lengths are not exactly the same, these two objectives both have the particularity to be designed for freehanded fieldwork and to integrate an optical stabilization. We have recommended each of these two models in their respective tests, but between the two, what is the best choice? We will try to figure it out. These two objectives are very similar at the level of their technical characteristics. Both are designed for macro shooting and offer a reproduction report of 1 for 1 with a minimum distance of 30 cm for adjustment. 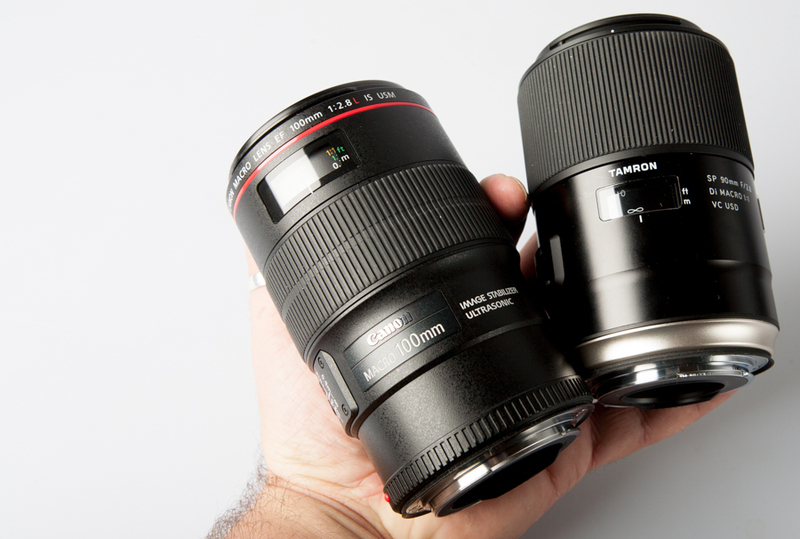 The Canon version is slightly longer (about 10 mm) than the Tamron version. This allows to keep a little more distance to the subject, which can be an advantage for pictures of live insects, for example. The two lens are made for fieldwork and freehanded pictures (all-weather construction, contained measurements and weight, optical stabilization). To the advantage of Tamron, we can name the compatibility with the Tap-in option (customization and updating of the lens) and the presence of a fluorine coating on the front lens. Difficult to differentiate them on this point. So it’s a tie game for this first point! Even at the handling level, it is difficult to decide between these two objectives. Let’s start with the measurements: the Tamron model is a bit shorter, but slightly wider than the Canon version. About weight, the two lenses are even, with about 600 g.
From the point of view of design, there are two different philosophies. 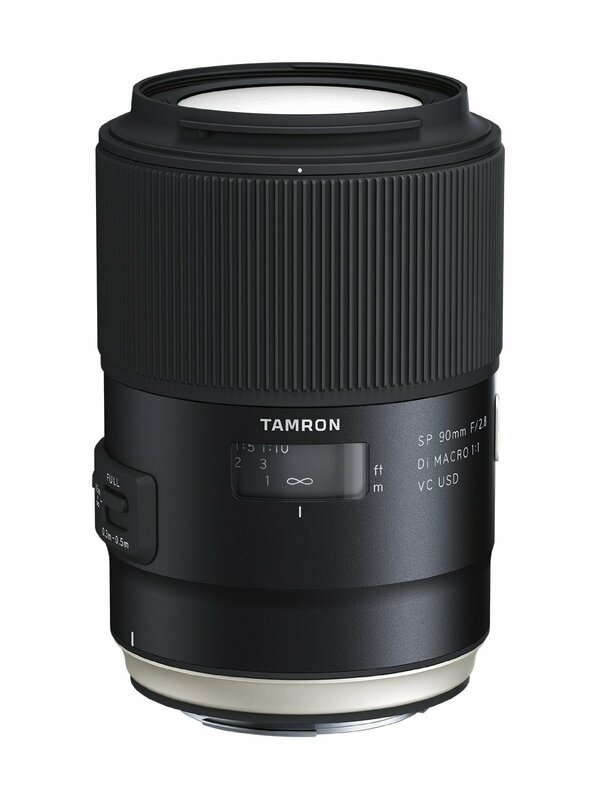 Tamron have elegance and discretion, when Canon, on its L series, come with a professional look. At the level of the differences, we can note a good metal workmanship for the Tamron, while Canon opts for a plastic textured matte. Even if the metal is more flattering, we know that bodies in plastic are "flexible" at the level of abrupt changes of temperature (thermal shock). In terms of the focus, the two lenses are all options: a wide and comfortable ring to use, stop markers, a moderated tracking shot, a dynamic focus distance indicator, A focus range limiter (with one more option on the Canon model). The position of the rings, however, is different. On the Tamron, it is to the outside of the lens, while on Canon it is at the center. On this point, we give the advantage to Tamron. Its use is more natural and promotes stability. On the other hand, at the fluidity level, it’s Canon which takes the advantage with a ring a little more accurate. Finally, we slightly prefer the Canon version, but the handling is still excellent on the Tamron model. We have tested the 90 mm and 100 mm with a Canon EOS 5Ds R and its 24×36 mm 50Mpx sensor. The enclosure has a definition of 8,736×5,856 pixels. 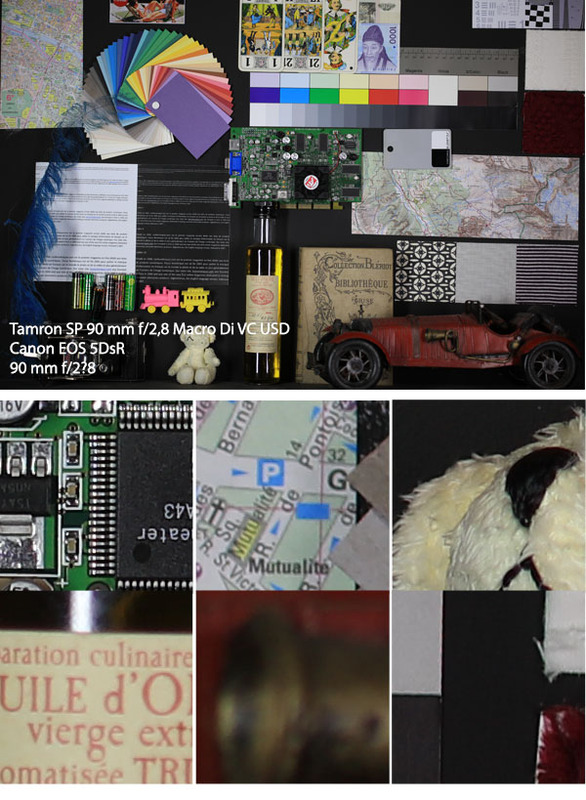 So each pixel measures 4 µm aside. The minimum aperture recommended to avoid the problems of diffraction is f/11. The notion of acutance is tricky to deal with. It’s what can be assimilated to the "feeling of sharpness" or/and "accuracy" seen on a picture. It can be very different from one objective to another, one focal length to another and one aperture to another. It can also vary between the center and the edges of the picture. It is customary to say that the acutance is optimal at the center and at medium apertures: f/8 or f/11, for example. In addition, the acutance will depend on the definition of the sensor in your camera and its sensor size (the Canon EOS 5DsR benefit from a 24×36 mm 50Mpx sensor). 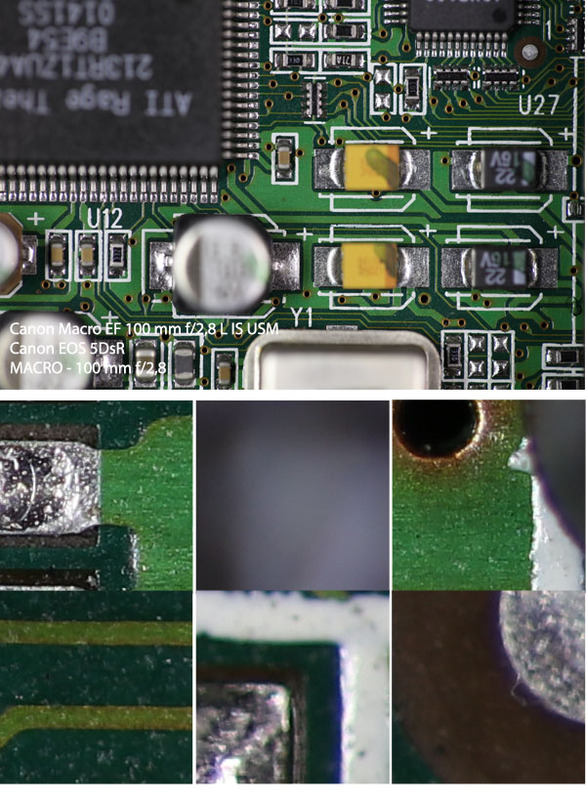 The smaller the pixels, the more the system will show its limits due to diffraction. This phenomenon is amplified as we close the objective diaphragm. Let’s be clear right away: these two lenses are excellent and have a remarkable optical quality! The level of sharpness is very high and constant up to f/11. Beyond that, diffraction makes its appearance and reduces the overall clearness of the image until it becomes a pretty unusable mush at f/32. It is at the center of the image that the acutance is strong, and this, as soon as the widest aperture is f/2,8. There has been a shift of sharpness between the center and edges, which settles as you close the diaphragm. From measurements made in the laboratory, the Canon and the Tamron are elbow-to-elbow, even if the latter is quiet ahead at the level of the acutance and homogeneity. Therefore, the advantage goes to Tamron, but by observing the boards of comparison, it is difficult to differentiate between these two objectives that are in the end, excellent and worthy. The difference between a 90 mm and a 100 mm is quite low. 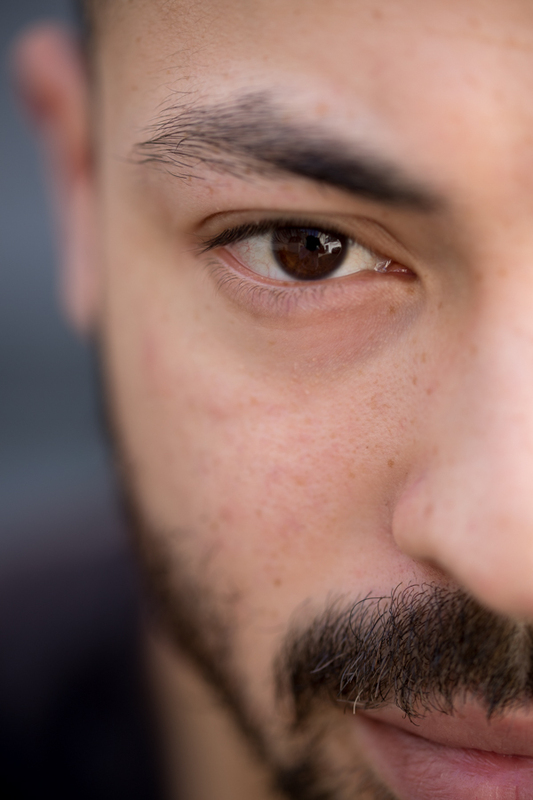 The 100 mm, slightly longer, allow you to take just a little more distance of your subject and the background blur will be somewhat more diffuse. If you use the Canon model on a DSLR with an APS-C format sensor, you get an "equivalent" 160 mm, whereas with the Tamron, you get a 135 mm (Canon’s 1.6 x conversion factor). 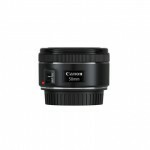 Canon EF 100 mm f/2,8 L IS USM. 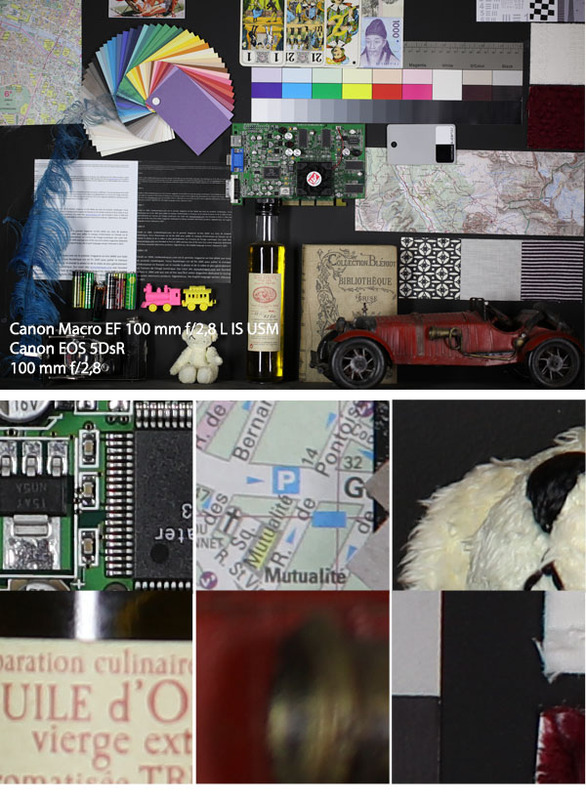 We mentioned in the tests: do not underestimate the versatility of a macro objective of this type. In addition to its obvious opportunities in very close photos of fauna, flora or even details (textures, for example), it is also a formidable weapon in portrait. In "classic" portrait of course, for full-length portrait or the U.S. plans, but also in close portrait. 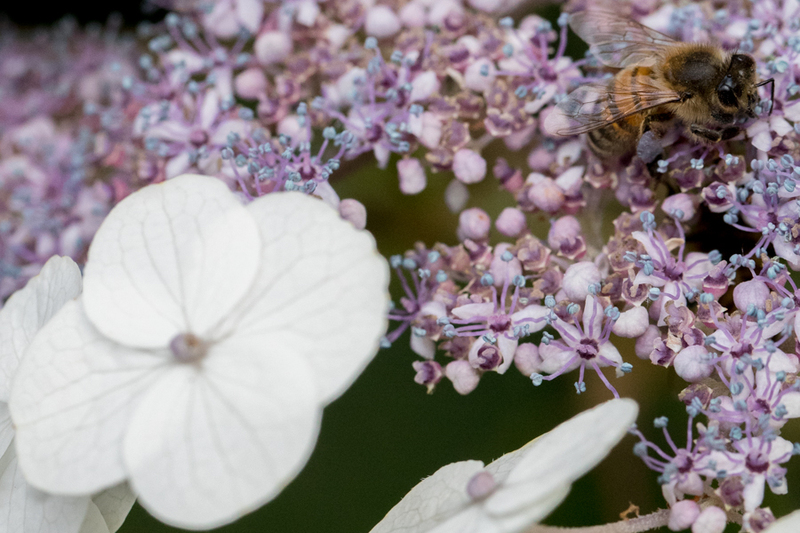 The very small distance of focus allows unique images with very marked depth of field effects, despite the relatively low maximum aperture of f/2,8. 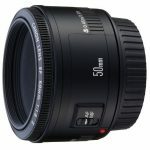 Tamron SP 90 mm f/2,8 Di VC USD. These two objectives are quite marked in depth of field effects standard. 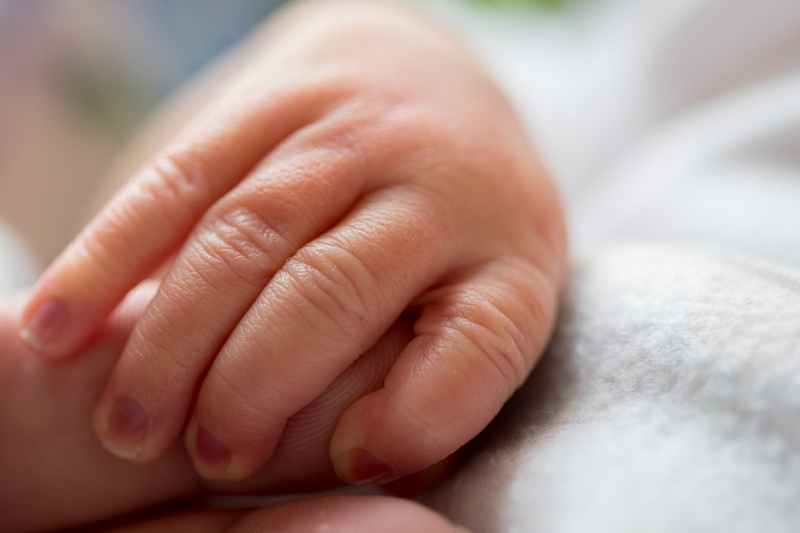 It is very easy to detach a main topic of his background in a beautiful and gentle blur. As long as the background is not too close to the subject, he will be drowned in a blur very diffuse and pleasant to the eye. On the other hand, let us not forget that the field depth is intimately tied to the focus distance. 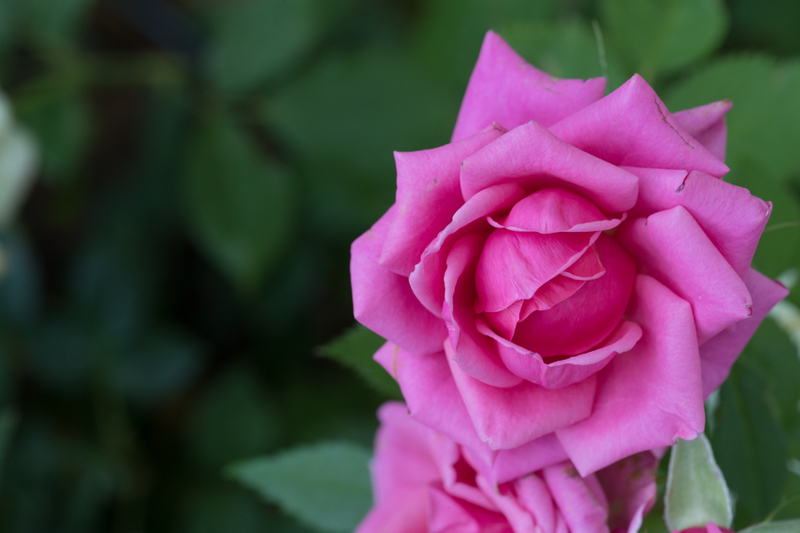 By using macro, to 30 cm, it is extremely short and requires a formidable precision positioning the plan of sharpness. The slightest error is immediately punished! These two objectives have few optical defects. First, just forget about the distortions: they are both lacking, for our greatest pleasure. As for chromatic aberrations, they are very low, nearly non-existent on the Canon. 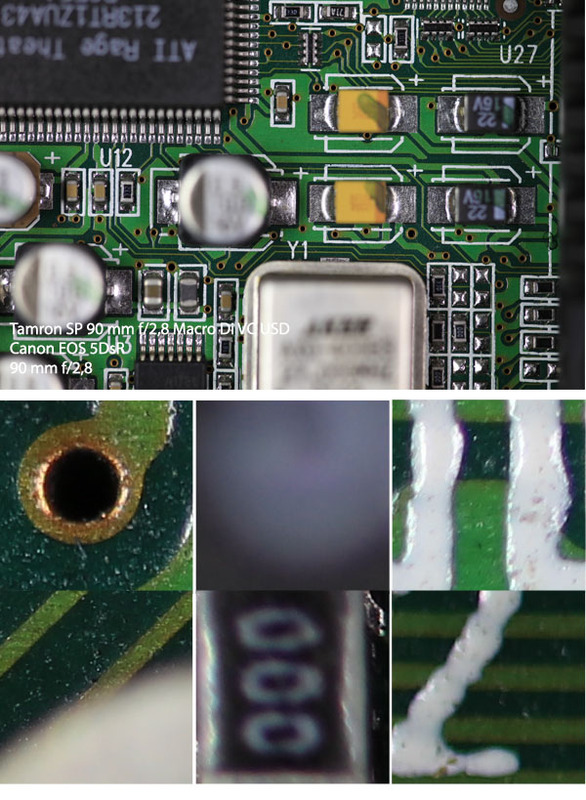 On the Tamron model, we feel them slightly in the widest apertures on the edges of the images. Vignetting is also taking its part. To get rid of it completely, you will need to close to f/5 6. A tie game for the field test between these two objectives that offer more or less the same performance and the same versatility. If you’re fussy, we can highlight the fact that the Tamron offers a somewhat more stung and homogenous acutance than the Canon. On the other hand, at level of the handling, the Canon back the advantage with a more accurate manual focus ring than the one in Tamron. The 10 extra mm of Canon ensure to take a little more distance from the subject to photograph and amplify the background blur. In contrast, and we would like to emphasize, we were disappointed by the performance of the optical stabilization which does evolve by "only" 1 IT in macro. Previous Canon 80D vs Nikon D7200, What’s the difference? Which is better?